Aren't those purples and greens just eye-catching? The Fantasy Collection (pictured above) is available (some of each color) for $25.00. If the bright and bold colors are not for you, you may like the "Blue-to-Gold" which is a Mineral Color. It isn't too dark, and not too light. Or if you really like a super soft color, you may be interested in the Candy Blush Mineral color, which is a very soft pink with just a little shine. But there is something in between everything, if your picky and like not to dark not too light then I am positive they'll have something for you! The possibilities are endless with Mineral Basics. And sizes are available in regular sizes, multi packs and samples which are small baggies that are available for only $1.95. You can connect with Mineral Basics by visiting them on their Website, Following them on Twitter @MineralBasics , Checking out there great Blog or "Liking" them on Facebook. They were all so beautiful! If you asked me to pick a favorite, I couldn't! I've had a chance to apply and wear all of them. Each color seemed like it changed my look. Sometimes I looked and felt edgy while other times I felt sweet and innocent. Isn't it crazy how color can change how you feel? It can be a good thing or a bad thing. Go ahead! Take a look around, I know you'll be happy! Even if you just get samples. The Sample baggies last at least enough for 2 or 3 applications. 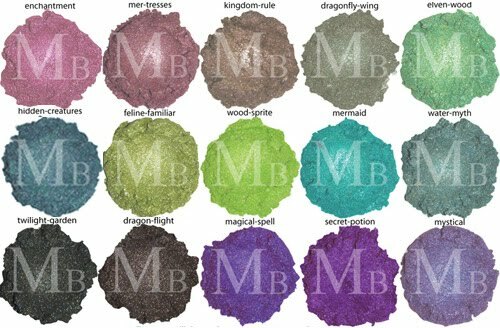 I would recommend Mineral Basics to anyone. Great Value and great products. Review products were provided to me. No monetary compensation was received. Opinions expressed were entirely my own.